Now that the election results of four states are out, the Congress party needs to rethink its strategy for future. The mandate is anti Congress and there is no reason to think otherwise. The first thing the Congress should do immediately is to change guard and bring new faces at the helm of the affairs. It means it is time that the party President and Vice President are given rest and let other take the responsibility. There is no harm in thinking in this line. No individual should be above an institution as old and as big as the Congress. 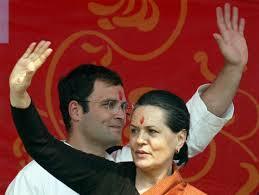 Both Sonia Gandhi and Rahul Gandhi can contribute to the party by saving in their respective constituencies. Besides this makeover the party should let its regional satraps decide. In other words they should be allowed nature ambitions. A political party in a parliamentary democracy cannot grow or live if it stops its leaders from cultivating ambitions. The Congress since Indira Gandhi had suppressed the culture of competition. During its initial days after independence, there was a culture of competition in the party. Leaders could speak their minds without fear. Jawaharlal Nehru, Dr Rajendra Prasad, Vallabhabhai Patel, Kamaraj, and others were never afraid to suggest contradictory and often opposite opinions. 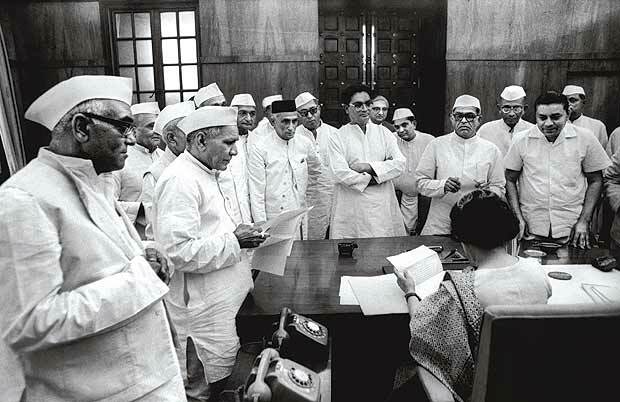 Many a times, leaders of stature of Nehru and Patel had to give up on the pressure of the party. Even, during the party’s presidential election Nehru and others never had an easy go. They competed to remain relevant. After Nehru’s death, the principle of collective leadership was further emphasized and acted upon. 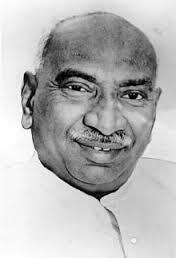 In India After Gandhi, Ramachandra Guha narrates how then Congress President Kamaraj discussed the issues of succession with then chief ministers and members of parliament. After Lal Bahadur Shastri’s sudden demise, the same method was applied. But Indira Gandhi changed the whole system collective leadership in the party upside down. It wasn’t less than a coup d’état. She made the party a family’s business. It is true that the Gandhis have played an important role in keeping the Congress together but the opposite view also holds the truth that the most revolts in the party were against the Gandhis’s leadership! If during Indira Gandhi things had begun to fall apart, it has aggravated during Sonia Gandhi’s reign. The follow up of what Indira did is what we see now! Sonia Gandhi has never been much accommodating to the idea of openness in the party. Though she had for the better part of her reign has kept herself low profile but she has also, simultaneously, didn’t allow other leaders to be seen as equal! Like in open economy, competition and greed are the locomotives of a parliamentary party. Compare this state with the other national party BJP the difference is obvious. With all its faults, it has let its members and supporters grow ambition. This had led to the growth of leaders with immense potential and mass appeal. Leaders like LK Advani, Atal Bihari Vajpayee, Murli Manohar Joshi, Narendra Modi, Sushma Swaraj, Shivraj Singh Chouhan, Vasundhara Raje, Raman Singh, Uma Bharti and other are the result of such competitive spirit. Kill this spirit and the BJP will be in tatters. This equally applies to other parties as well. Those refusing to abide by the principle of inner party competition had faced, facing and will face the fate of the Congress. Lalu’s Rashtriya Janata Dal, Mulayam Singh’s Samajwadi Party, AIADMK and even Mayawati’s BSP will find it difficult to challenge this proven law of parliamentary democracy. They either have mend their ways or perish. There is no mid way. Coming back to the Congress, it is urgently need for it to let regional and national leaders take the lead in its affairs. Let them compete and prove their worth. The more people have eye on the top seat the better. Without giving them opportunity to grow the party is in the suicidal mode. The Gandhis cannot always carry the party on their shoulders. They don’t even have strength required to do so now. It wouldn’t be inappropriate to suggest that the Gandhis have come close to their journey and what is the better way to honour them by making one of their folks the president of India! This entry was posted on December 12, 2013 at 2:34 pm	and is filed under India. Tagged: Atal Bihari Vajpayee, Congress, Dr Rajendra Prasad, Gandhi, India, Indira Gandhi, Jawaharlal Nehru, K. Kamaraj, Lal Bahadur Shastri, LK Advani, Murli Manohar Joshi, Narendra Modi, Rahul Gandhi, Ramachandra Guha, Raman Singh, Shivraj Singh Chouhan, Sonia Gandhi, Sushma Swaraj, Uma Bharti, Vallabhabhai Patel, Vasundhara Raje, Vishnu Sharma. You can follow any responses to this entry through the RSS 2.0 feed. You can leave a response, or trackback from your own site.